While there are many ways that you can promote your business, nothing compares to video to inform, engage, convince and convert potential customers. Isn’t it time that you include video marketing as part of your overall marketing strategy? It’s become much easier and much less expensive to create videos for your business, but for those that are too busy or need some guidance, you can have us create one for your business quickly and easily. A web page with a video is more likely to show up on the first page of Google search results. A landing page with a video is more effective than a static one with text and pictures. A video gives you the opportunity to interact with potential customers 24/7 to show your products and services. A video gives your company a face that they can recognize and trust. A video allows customers to get to know you and your company. A video added to your email marketing can boost interaction by as much as 200%. 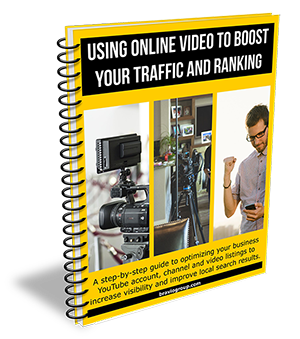 You’ve probably been thinking that your business could benefit from video marketing and how you could use it to get new customers or improve your position on the search engines. 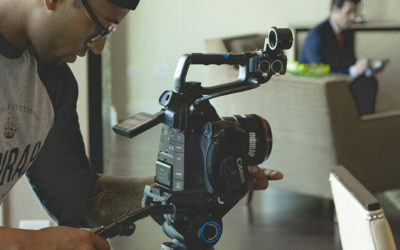 So what’s been holding you back from having a video for your business? By using one of our simple products or services, we can help you get your video online and working for you right away. Better search results. Google loves video! Get found quickly by new customers searching the web. Qualified leads. By showing exactly what products and services you offer, you’ll have more customers that are ready to buy. Connection with customers. By telling your story with sight and sound, it entertains and engages at a deeper level than the written word can. Better conversions. Video greatly increases the chances of a customer calling or coming in to your business. Extensive analytics. Video hosting sites have data that can give you insight on the behavior of your viewers. Increased trust and authority. With a video you can convince and influence customers that you can be trusted. Whether it’s a simple slideshow of your business, custom titles, overlays, graphics or end cards for your YouTube channel or videos - we can help. You’ll save time, money and you’ll have a team of experienced graphics professionals working with you to create something special for your company. We’d love to discuss your video project and give you this no-risk offer: If at any time before the final product is delivered you’re not satisfied with our work… we’ll give your money back! With our help, you’ll save time, money and you’ll have a team of experienced graphics professionals working with you to create something special for your company. We’d love to discuss your video project and give you this no-risk offer: If at any time before the final product is delivered you’re not satisfied with our work… we’ll give your money back!